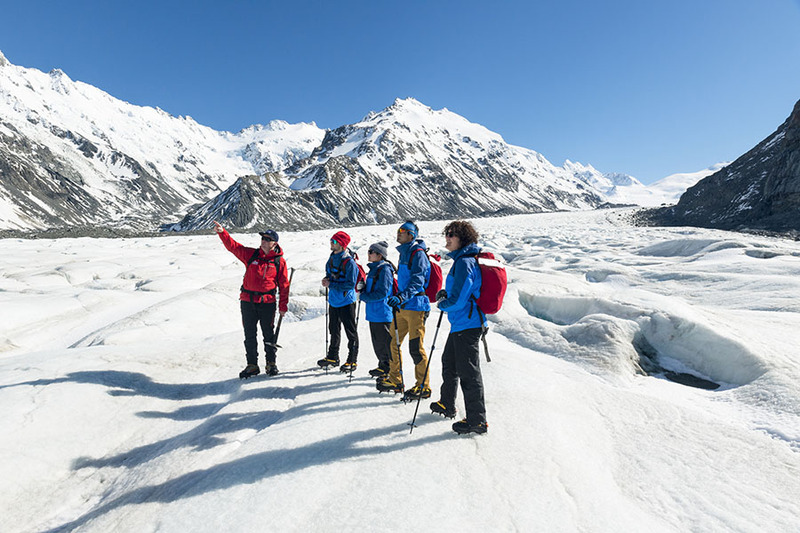 Mt Cook Glacier Guiding welcomes you to New Zealand’s big mountain country. Enjoy spectacular views from the air, feel the ice crunch underfoot as you walk on the glacier, hear the groan and grind of this massive, frozen river. Heli-hiking, snowshoeing or ice climbing, it’s our pleasure to guide you on your alpine adventure. 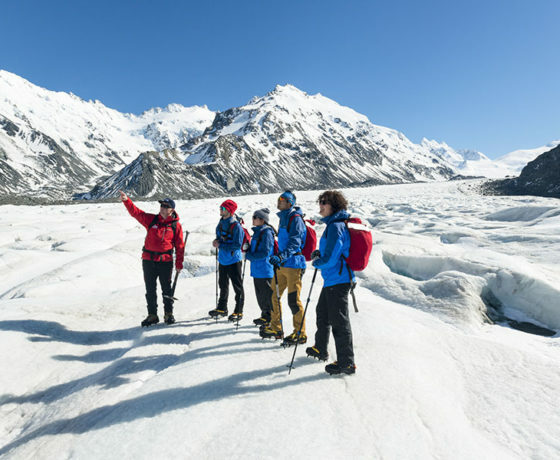 Combine the excitement of walking on New Zealand’s biggest glacier with the thrill of breathtaking scenic helicopter fly-bys of New Zealand’s largest mountain, Aoraki/Mt Cook. You fly in to your drop off point on a remote part of the glacier, exploring where nature’s forces work hardest. 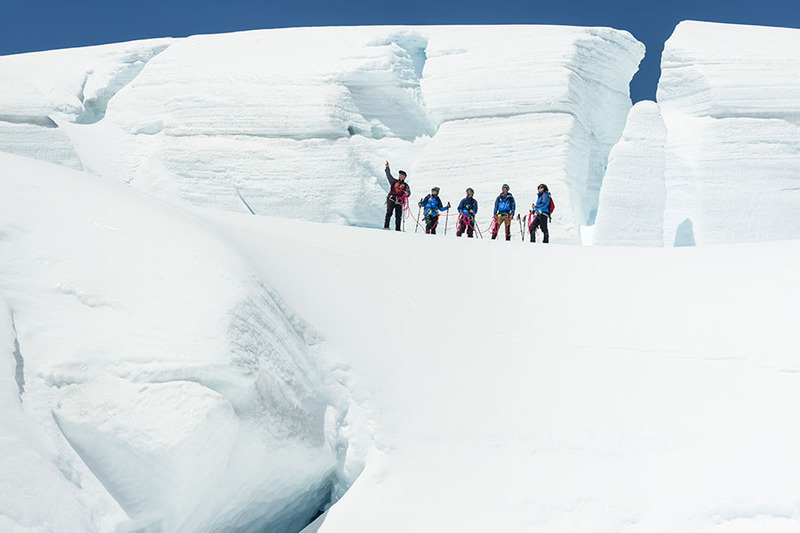 Every journey is unique, because the glacier is changing all the time and our experienced guides are always finding something new and interesting to show our visitors. 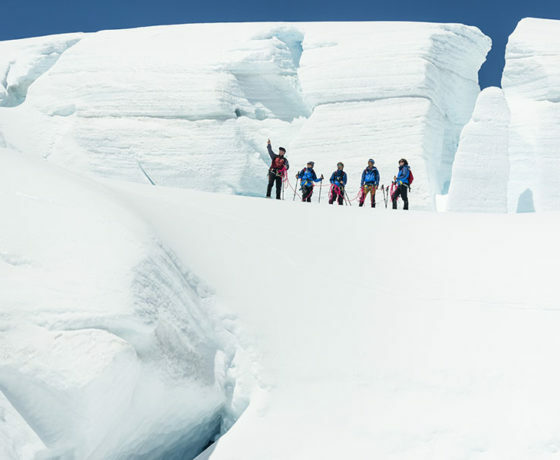 Explore the immense beauty of the upper snowfield of the Haupapa/Tasman Glacier. 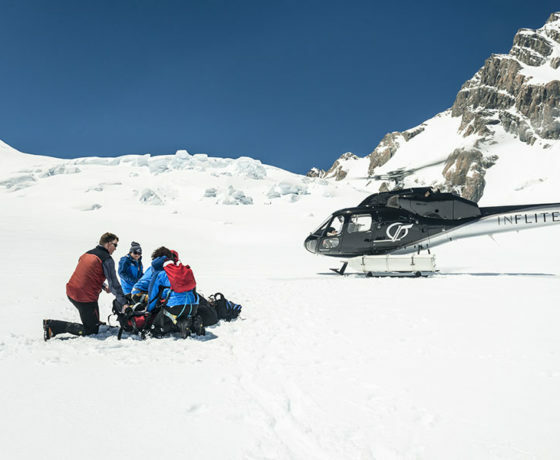 As you fly to 2200 metres aboard either a helicopter or ski plane, equipped with snow shoes, walking poles, harness and other equipment, you are ready to explore ice formations in this ever-changing environment. You’re in the heart and birthplace of New Zealand mountaineering. Your flight home tracks down the eastern side of New Zealand’s highest mountain, Aoraki/Mt Cook, and to the stunning Hochstetter Icefall. Feeling adventurous? 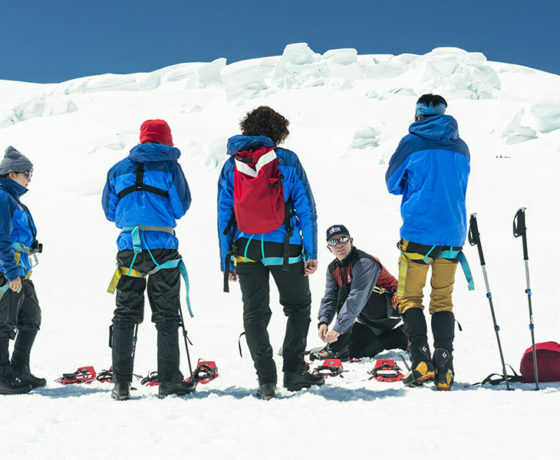 Come ice climbing with Mt Cook Glacier Guiding in New Zealand’s big alpine environment! 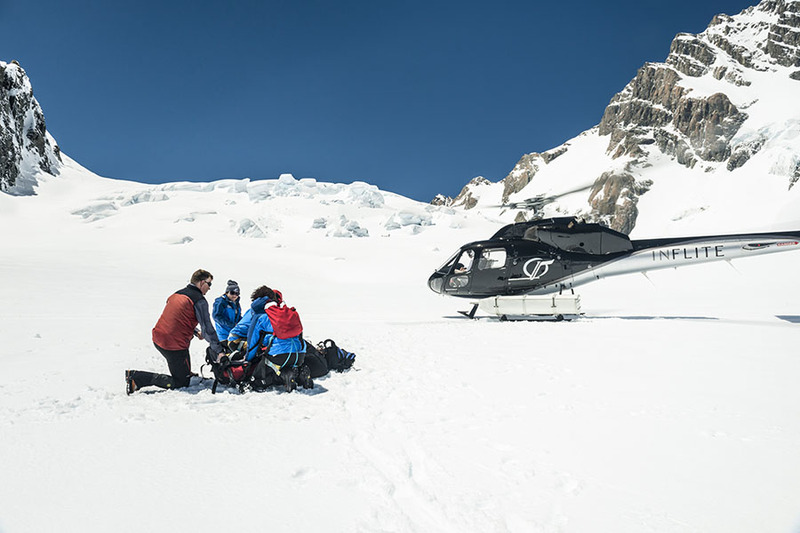 A thrilling scenic helicopter flight takes you up the Tasman Valley to the best ice climbing location. 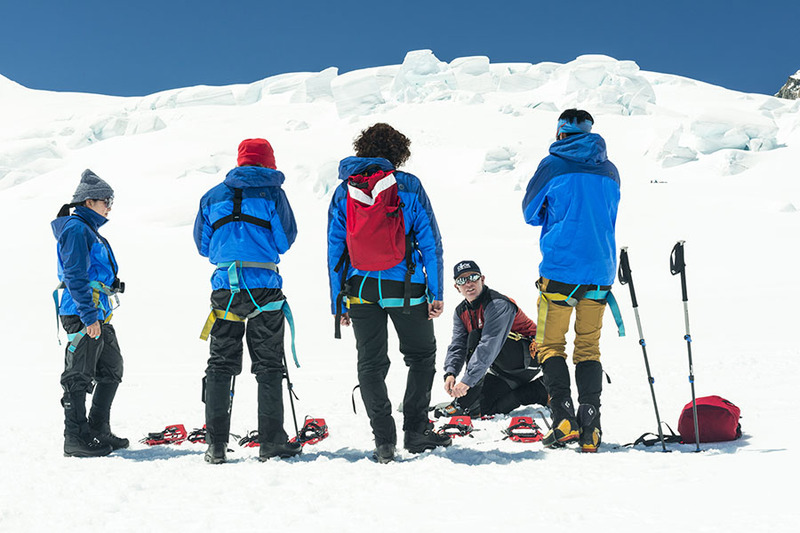 No experience is necessary, our expert guides will quickly teach you how to master basic crampon and ice axe techniques. This is a tailor-made day of challenging yourself on an adventure you will never forget. How to find Mt Cook Glacier Guiding? Five minutes from Aoraki/Mount Cook Village on the Mt Cook Highway (State Highway 80), Mt Cook Glacier Guiding is located at Mount Cook Airport.